I have been part of a Supper Club for over a decade and we have slowed down the past couple years. But, we are coming back to life! So last month we were able to catch up with a very fun theme – the Ides of March. How did this come about? Somebody RSVP’d on this day, so why not make that the theme, even though the event didn’t take place on that day. So, anything you brought had to have an ‘I’ in it – black bean dip, skirt steak, pizza. You get the drift. It was funny, because I thought awhile on this, because so many things I was thinking about didn’t have the letter ‘I’ in them. I was out running on the Sunday morning of the dinner with a friend who cooks a lot and we were talking about this and I was bouncing ideas off of her. I’m making this sound like I’m making a major life decision! She told me come the end of this 12 mile run – ok, worst case scenario, it’s ‘Mel’s Recipe’. Thanks, score! 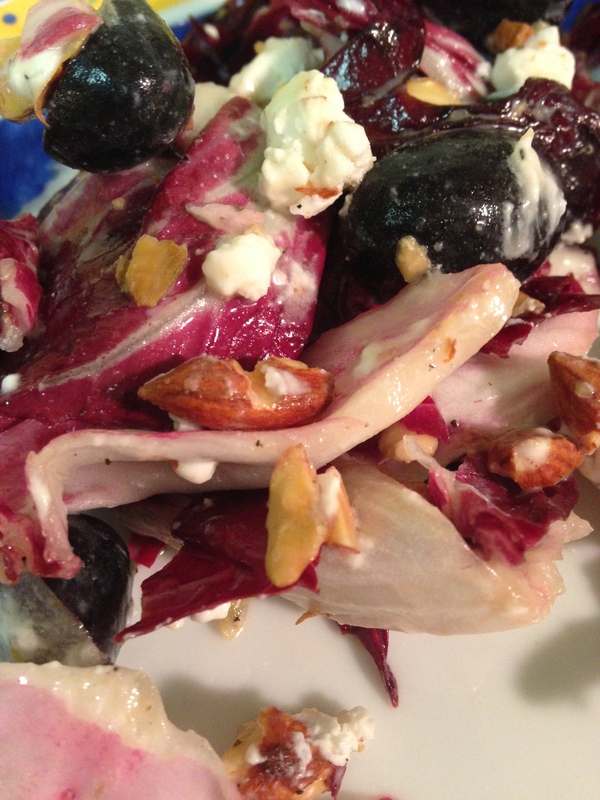 Well, I ended finding a great one – Shrimp and Radicchio Salad. I think I was pretty covered there. It was so simple. 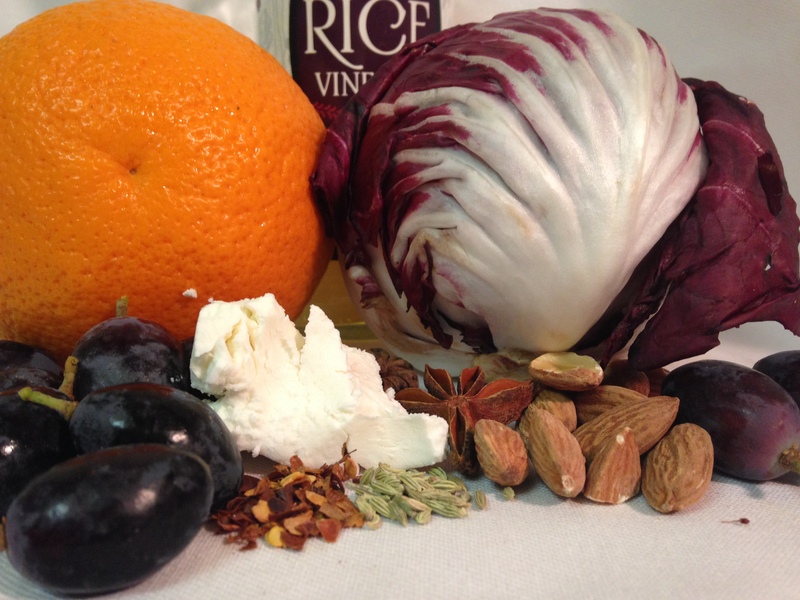 I also happened to have all the ingredients already, too, except for the radicchio. I had both raw and precooked shrimp and I opted for the precooked, which made it so much easier. Made it a no-cook meal. The tang in the dressing/marinade was awesome. And that’s what was great. You just marinade the shrimp and then toss them all together with the salad. Combine first five ingredients (olive oil – mustard) in a bowl. Stir in shrimp ***I just put all those ingredients in a ziploc and then added the shrimp. Cover and refrigerate 30 minutes. In a large salad bowl combine lettuce and radicchio, pour shrimp and dressing on top. Toss add tomatoes and toss again. Also, at the dinner, we had pizza, dips (both appetizers and desserts) and quinoa. And of course some wine.